Meet April & Garon! They are both busy bees during this wedding planning season. We bounced around trying to find the perfect date for their engagement photos and finally decided on early June. It was perfect as we were hoping this cool weather streak would still be around. June comes and so does the cool weather but it brings along its friend rain…and we get rained out. So after a bit more planning we find a new date in mid June. The only problem, our friend cool weather is no where to be found. Despite all we plunge forth and voila, it paid off! 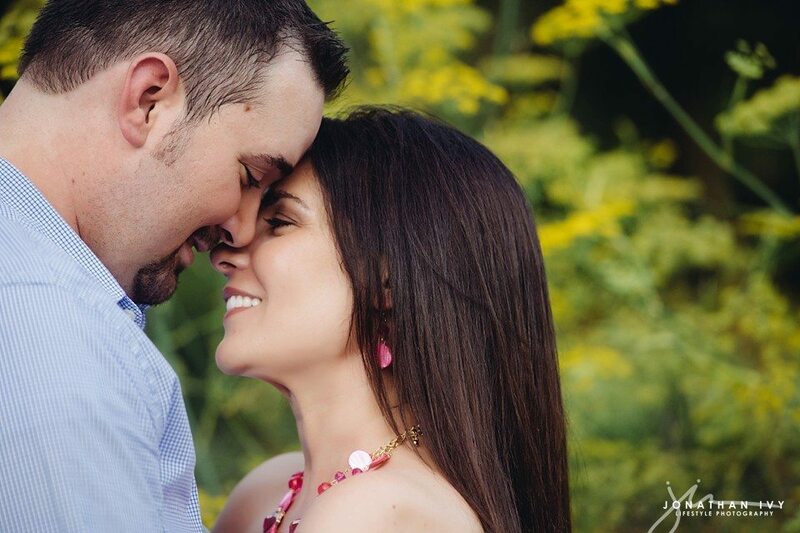 We have a gorgeous set of engagement photos to share with you all. These two handle the heat well, they must be Texans. So kick back and relax, preferably in the AC, and check out this adorable Mercer Arboretum engagement session.